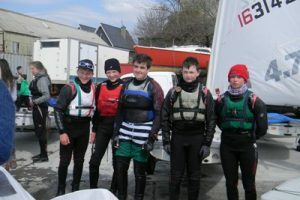 Royal Cork sailors had a great Easter Weekend in Baltimore at the Laser Munster Championships. The marvelous weather drew over 100 sailors to the event, which delivered 10-12 knots of breeze (albeit shifty), in glorious sunshine. The 4.7’s did the Club proud with strong performances from Luke Horgan, Rebecca O’Shaughnessy and Luke McGrath. Billy Duane Jnr finished in 6th position overall with top honours going to Johnny Durcan in his first regional event. 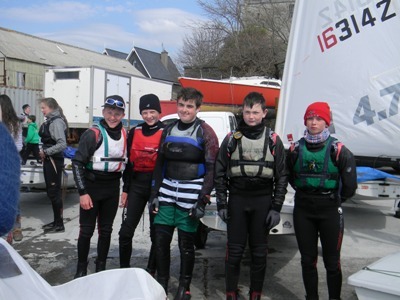 The Radials were well represented by Richard Thompson, Dermot Lyden, Jamie Tingle and Tom McGrath. In the Standard section, Billy Duane Snr started well but was forced to retire on the 4th race due to gear failure. Winter training paid off for Eddie Rice and Nick Walsh, with Nick winning 1st Master. Congratulations also to Baltimore Sailing Club on their new club house. The facilities are state of the art and they gave the warmest possible welcome to all their visitors.